Heroes for Harlingen is a program designed to engage the community in Harlingen CISD schools and to capitalize on the time, talent and treasure of local community members. Through service and contributions, our Heroes impact the lives of our students and enhance the work of the district. In alignment with the transformational goals from the Strategic plan adopted in 2014, Heroes for Harlingen CISD is geared toward developing effective educators and improving the learning experience for all students. 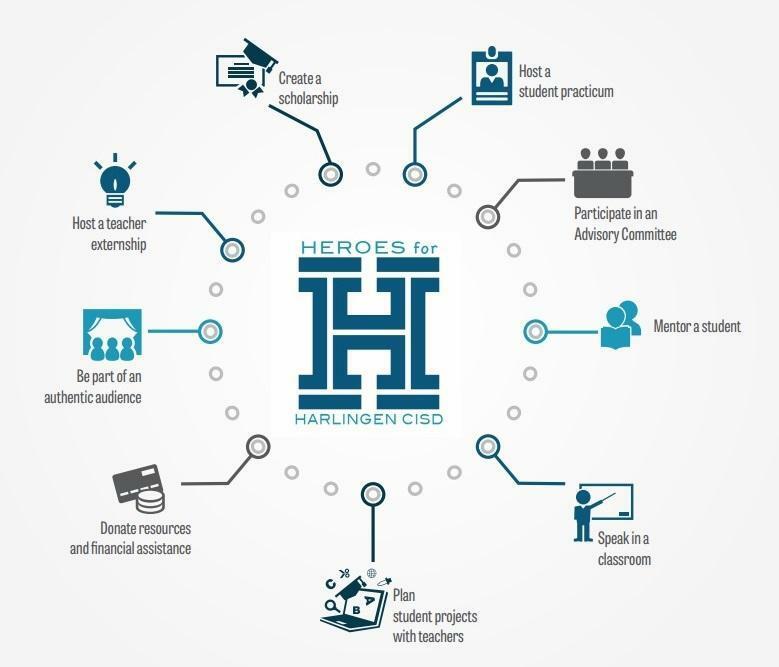 Through the Heroes for Harlingen CISD program, the district will partner with community businesses to incorporate an interactive piece, which provides partners the opportunity to engage with administrators, teachers, and students within the district.